Paul Cooper, who works in both Communications and Public Health, is a Social Media and Digital Marketing Apprentice. 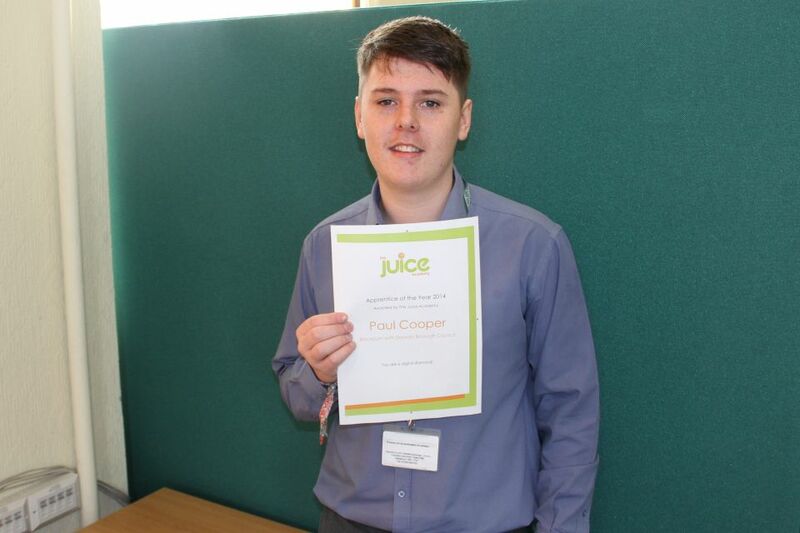 Paul is currently studying at the ‘Juice Academy’ in Manchester, which focuses on social media and digital marketing and has students from across the North-West. Social media is already a huge part of my daily life, so I feel privileged to be able to use these skills to kick-start my career. I’m learning something new every day while at The Juice Academy and feel like I’m making a positive difference to Blackburn Council. By the end of the apprenticeship, I’ll have one of the most valuable things employers look for – on-the-job experience. This is a fantastic achievement and it is great that Paul has been recognised in this way for his hard work, both within the council and also as part of his studies. This really shows the talent we have within the borough, and shows why offering apprenticeships to allow our young people to develop and excel is such an important thing to do.